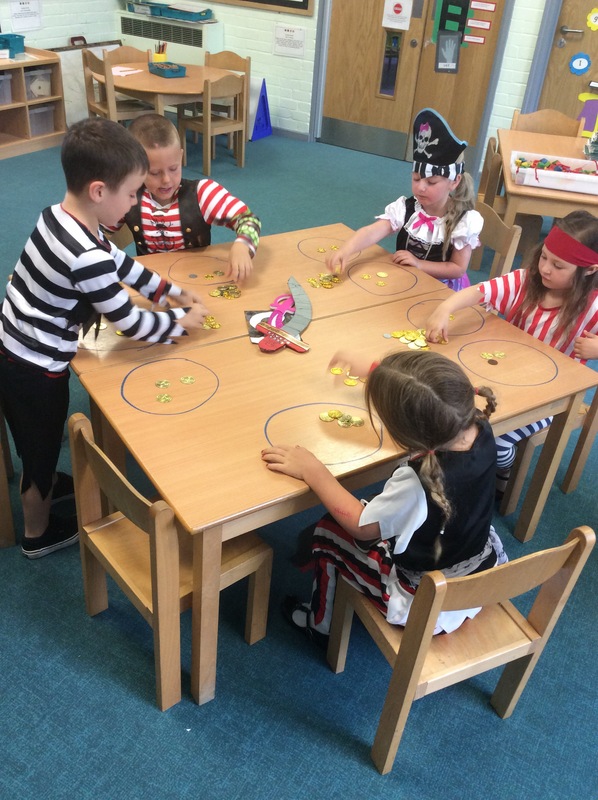 EYFS Pirate day – oo ar! All our EYFS children have entered into the spirit of our pirate day. Our first pirate challenge was to find the golden treasure. We then used it to sort, count, compare and discuss odd and even numbers.